Los Angeles Lakers guard Sasha Vujacic is engaged to marry Maria Sharapova after the Slovenian told reporters before an exhibition game on Thursday that the Russian former tennis world number one had accepted his proposal. 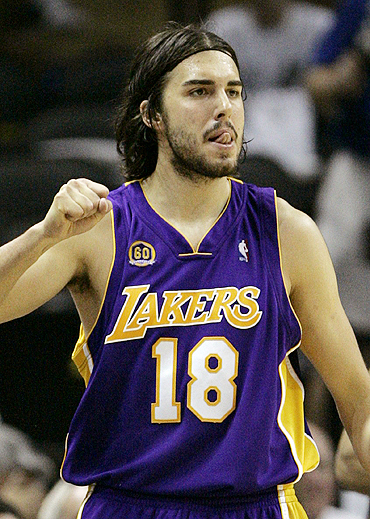 Prior to the game against the Golden State Warriors in San Diego, Vujacic said that the three-time grand slam champion had said "yes" to his "old-school" proposal, adding that they were both "really happy". The 26-year-old Vujacic proposed on the couple's one-year anniversary of meeting at a friend's barbecue and their engagement was also confirmed by the team's official website reporter Mike Trudell on his social networking page. The 23-year-old Sharapova, currently ranked number 18 in the world, won the Wimbledon title in 2004, the US Open crown in 2006 and the Australian Open in 2008.